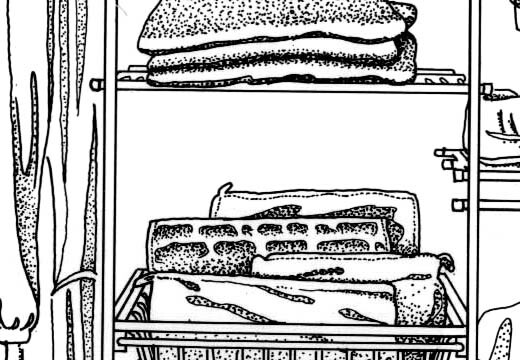 Randal was contracted by an ad agency to illustrate the Closet Maid system of closet organizing products in a line art style suitable for newspaper print ad use. 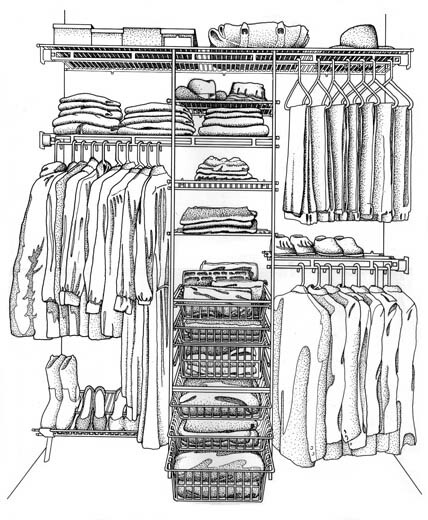 Randal generated a number of closet views rendered in black & white “stipple” style. This illustration method involves creating a thin ink line outline, the filling in the shading with thousands of small dots, made by hand placing a Rapidograph ink pen down and then up for each dot. Stipple is quite time consuming, however, it reproduces exceptionally well in newsprint.